Praised in Gramophone magazine for “disciplined virtuosity,” violinist Joanna Kurkowicz enjoys an active and versatile career as an award-winning soloist, recitalist, chamber musician and concertmistress. She has performed on many of the great concert stages of the world, including Weill Recital Hall at Carnegie Hall, Jordan Hall, Boston and the Grosse Saal, Salzburg, and has appeared as a soloist with the New Zealand Symphony Orchestra, Boston Philharmonic, Brussels Philharmonic, Metamorphosen Chamber Orchestra, the Jefferson Symphony, the San Luis Obispo Symphony, the New England String Ensemble, the Berkshire Symphony, the Poznan Philharmonic, the Polish National Radio Orchestra in Katowice and Warsaw, and others. She has received awards from the Samuel Chester, Presser, Saint Botolph, Kosciuszko, and Olevsky Foundations, the Harvard Musical Association, the Irving McKlein International Competition, the Carmel and Coleman Chamber Music Competitions, and in Poland, the Henryk Wieniawski and Tadeusz Wronski International Competitions. She was a recipient of the New England Conservatory Outstanding Alumni Award in 2008. Ms. Kurkowicz currently serves as concertmistress of the Boston Philharmonic and the Berkshire Symphony Orchestra, and previously held the same post for the Boston Modern Orchestra Project and the Vermont Symphony. She was a member of the acclaimed Metamorphosen and Orpheus Chamber Orchestras. Since the fall of 2002 she has been Artist in Residence at Williams College in Williamstown, Massachusetts, recently joined the faculty at Tufts University, she served on faculty of the New England Conservatory of Music. An avid and sought-after chamber musician, she has collaborated with such eminent artists as Jaime Laredo, Charles Treger, Masuko Ushioda and Laurence Lesser . She was a founding member and Artistic Advisor of the Chameleon Arts Ensemble of Boston and the Plymouth Chamber Music Festival. 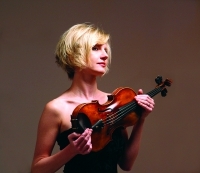 As a guest artist, she has participated in the Mozarteum Festival in Salzburg, the Ravinia Festival, Barge Concert Series (NY), the Asia Pacific Festival in Wellington, New Zealand, the Rockport Chamber Music Festival, the Orford Music Festival, the EuroSilesia International Music Festival, International Music Academy Orpheus in Vienna, the Warsaw Music Gardens Festival and the Martha’s Vineyard Chamber Music Society. 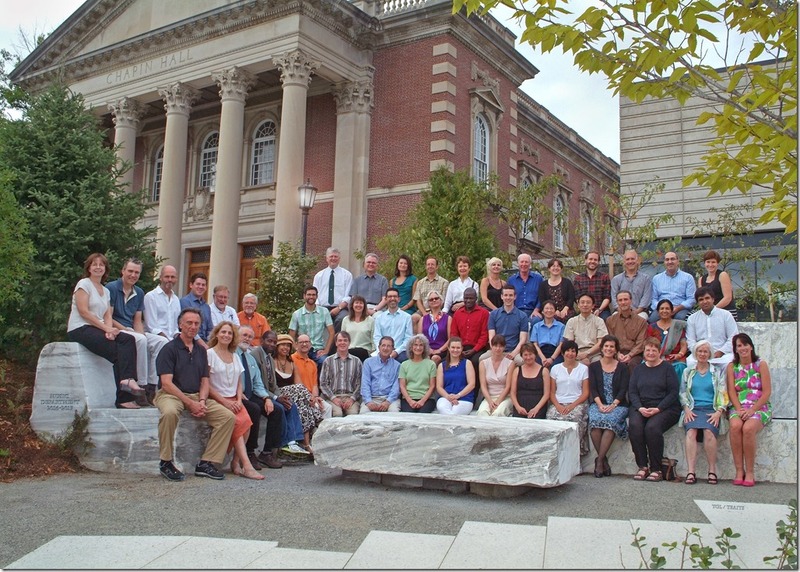 Respected pedagogue, Joanna Kurkowicz held masterclasses both in Europe and the US. Ms. Kurkowicz is a strong advocate of contemporary music; she has premiered works by Gunther Schuller, Ralph Shapey, Poul Ruders, Robert Groslot, John McDonald, David Kechley, Grazyna Bacewicz and others.Her premiere recording of Robert Groslot Violin Concerto with the Brussels Philharmonic was released in August 2018. In November 2014 she premiered Ileana Perez Velazquez’s Violin Concerto with the Berkshire Symphony in Williamstown, MA. Her World premiere of Shirish Korde’s Violin Concerto with the Polish National Radio Symphony Orchestra met with enthusiastic response. Subsequent performances in Europe and New Zealand were equally well received, and the United States premiere with the Boston Philharmonic Orchestra was a highlight of the 2007-2008 concert season. A native of Lublin, Poland, Joanna Kurkowicz earned a Master of Music Degree with distinction from the Paderewski Conservatory of Music in Poznan, Poland, in the studio of Jadwiga Kaliszewska. She came to the United States in 1992 to complete a second Master of Music degree as a student and teaching assistant of Charles Treger at the University of Massachusetts, Amherst. Ms. Kurkowicz completed the prestigious Artist Diploma Program at the New England Conservatory of Music, where she studied with Masuko Ushioda. Joanna Kurkowicz plays on a Petrus Guarnerius violin dated from 1699.